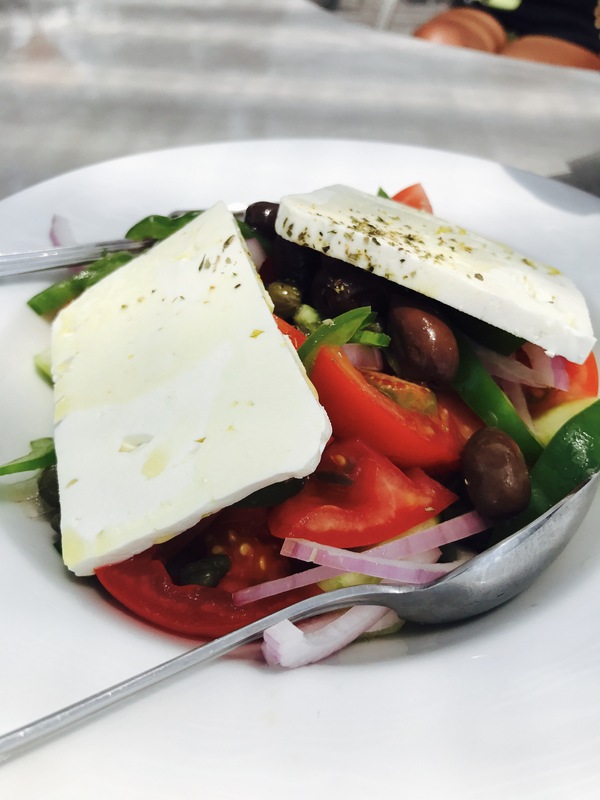 You can’t beat a Greek salad on a hot summers day with delicious fresh tomatoes and salty feta cheese! Did you know that the word “feta” means slice? That’s why I’m recommending slicing the cheese length ways like in my image. For some weird reason it just tastes better. I think it might be because you get a bigger chunk haha! Below is my Results with Lucy version inspired by my trip to Greece. 3) Cover with dressing and if adding protein, such as a cooked chicken breast, a fillet of fish or boiled/poached egg, you can dd this just before serving. 4) Optional: top with chicken, salmon or egg. For more recipes look out for my foodie Friday blogs or click here to head over to Results with Lucy where you can access over 300 recipes to pick and choose from!